Prepping in the stable. (c) Rebecca LaChance, 2017. Thurmont, MD. September will bring a new exhibit. I've been invited to show a few artworks with a local art icon in Frederick, MD. In preparation for my contributions, I've been spending time with women and their horses. I'm learning about the "horse world." 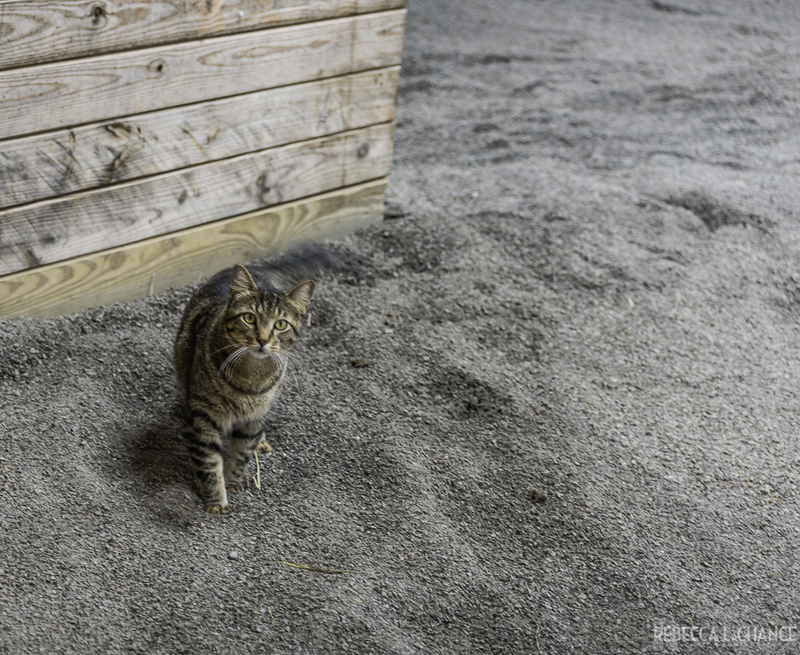 Today, I'm sharing some images (and new awareness) from my time at a local stable. I hope your interest is peaked for the September art show! There just isn't a "nice way" to say this...many horses end up at kill pens. (You don't need me to define a kill pen. You know what it is.) The physical and emotional trauma to these magnificent animals is horrific and unconscionable. I can't bear to read the stories that have been dropping into my social media feeds. If you're from Maryland, Ohio or Pennsylvania, you've more than likely seen a horse pulling a large family-filled carriage. The scene looks "oh, so vintage", almost romantic. It might be romantic to your eyes, but the daily trauma to the horse is the farthest from romantic one could possibly get. If the horse doesn't die "on the road", it ends up in a kill pen. It seems that over-breeding is just as common in the horse population as with cats and dogs. In my mind, the auction circuit is the equine version of dumping a cat or dog on the street - except money is involved. Eventually, the horse ends up in a kill pen. Similar to greyhounds that are no longer profitable at the track, racing horses may meet the same fate. There are those loving souls among us who do everything in their power to save the horses. The costs for rescue are overwhelming; purchase price, travel costs, veterinary care, quarantine costs, foster homes, food, and so much more. Therefore, a portion of proceeds from the sale of my artworks in the exhibition will be donated to an organization that provides sustenance and safety to horses rescued from the kill pen. It takes a lot of hay to feed over 120 horses! (c) Rebecca LaChance, 2017. Thurmont, MD. Teen girls work in the stables and they get to operate heavy machinery. Color me jealous! (c) Rebecca LaChance, 2017, Thurmont, MD. Top - Drew arrives for his lesson. Bottom - "Mmmmm, just one more snack." Right - "Are you waiting for me?" I welcome your questions or comments over on the Facebook page. And if you feel moved to do so, please donate to an animal rescue organization. The animals and their human friends could use your loving help. Will I see you in September? Watch for more information about the exhibition.